In every field, there are awards that are bestowed in recognition of excellence. The Nobel Peace Prize, the Pulitzer Prize and the Oscars and Emmys are a few of the well-known accolades. Even the blogsphere has some…The Versatile Blogger, Stylish Blog, Candlelighter Award…there are dozens. 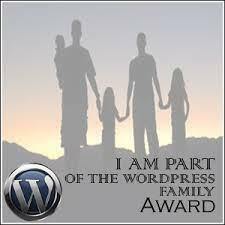 One of the newest is the WordPress Family Blog Award. All bloggers are writers…and all writers need encouragement and support. Being part of the WordPress Family, I’ve found so much support and encouragement from fellow bloggers. Some write picture books, some write memoirs, some write YA or MG, some are not trying to write a book, but are investing their talent in writing great blog posts. Marylin over at Things I Want to Tell My Mother honored me with it the other day. One of the things I regret is that while I lived in Colorado Springs, I never connected in person with this amazing writer. In her blog, she shares the wonderful accomplishments and giving nature of her mom who now suffers from Alzheimers. Marylin supports aspiring authors with writing contests and her blog is a cornucopia of goodness and love and information…on child care, recipes, gardening anecdotes and family matters. If you don’t know Marylin, I hope you will stop by her blog to say hello…you won’t be disappointed. I understand what Shaun means…I’ve experienced the same feelings. People I have never met are kind and encouraging with their comments and generous with their time and knowledge. When you think about it, it’s really amazing how close we can feel to bloggers we have never met. With Thanksgiving only a few days away, this is a perfect time to let some of those bloggers know how thankful I am for the connection we have made. Please don’t stress out about answering any questions or passing the award onward. We all have too much on our plates already. If it’s something you want to mention in a post, please do. If you want to award it to others you have connected with, that is great. Elizabeth at Mirth and Motivation: Eliz was my very first blogging friend, a citizen of the world who blogs about global issues, posts amazing photography, quotes and wise stories. Nancy at Spirit Lights the Way: Nancy is a super-sharp wit and fantastic person and writer, her blog entertains and informs. She is immensely supportive of other bloggers and I am never disappointed when I read her posts. Susanna at Susanna Leonard Hill: Susanna is the founder of Perfect Picture Book Friday, an incredible resource of picture book reviews and activities for teachers and parents. 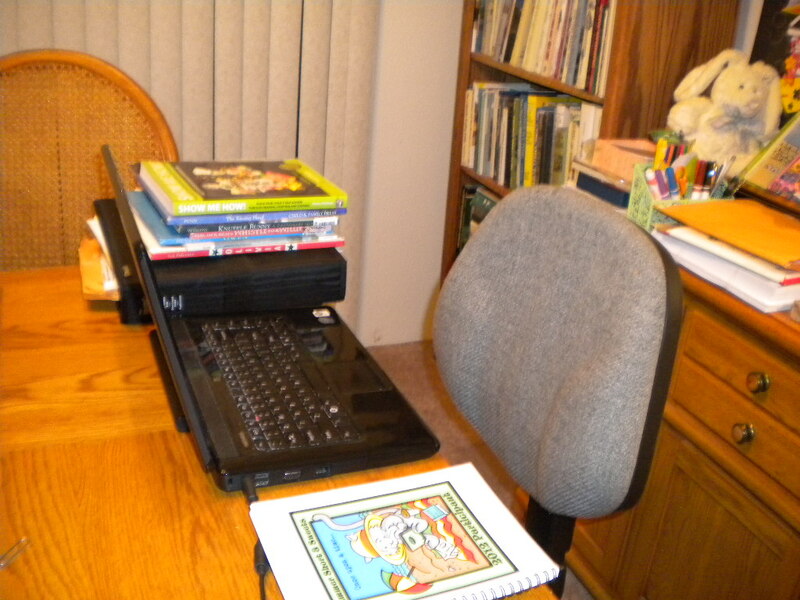 Her blog is a warehouse of writing prompts and other helpful posts for aspiring writers of children’s literature. It just so happens that the 3rd Annual Holiday Writing Contest is starting! Click on her link and get all the details. Last month, her Halloweensie Contest garnered 79 entries!!!!! And did I mention that there are GREAT PRIZES? Julie at Julie Hedlund: Julie is the founder of 12×12, a challenge for picture book writers. She is also a trailblazer in publishing story apps and has just reached her crowdfunding goal on Kickstarter for her new print picture book, My Love For You Is The Sun. Visit her blog to find out more about these and many other projects she has up her sleeve, like her Renaissance Writing Retreat in Italy that is coming up in the spring…the one she organized this past spring was a great success! Dawn at Tales From the Motherland: Dawn blogs about her family and life. Her thought-provoking posts often ask questions we don’t have answers for – but I love visiting – she keeps me on my toes and is a loving, caring woman. Milka at Perfecting Motherhood: Milka is a talented photographer and writer. She is also a super cool mom to two boys who probably don’t know how fortunate they are to have her – she encourages their creativity and reads to them EVERY DAY and has an awesome sense of humor. You can see the fantastic products that feature her photography on her website. Tracy at Tracy Campbell Writer and Illustrator is a warm-hearted and talented writer and illustrator. She blogs about children, pets and anything else that is on her heart. Her whimsical drawings can be found on a selection of notecards and works of art that can be viewed on her site. Tina at Tina’s Tidbits: Tina is one of my online critique partners and I’m in awe of all that she accomplishes. With a busy family and a writing career, Tina manages to keep up with several blogs and is one of the best critique buddies I know. She is always ready to offer encouragement and support and is very knowledgeable about writing for the educational market. Stacy at Stacy S. Jensen Writer and Designer: Stacy was one of my local critique partners in Colorado Springs. I originally met her through Susanna’s Perfect Picture Book Friday link up…then I met her in person at a local SCBWI function. She is one of those people who is juggling family (Enzo is an active toddler), home, career, blogging, writing, illustrating, community outreach, social media…and she does it so seamlessly, she could win America’s Got Talent. I’m so happy I’ll be able to stay connected with Stacy – my local group has been so kind as to want to keep me in the group even though I am now 2000 miles away…we’ve used Skype to facilitate our meetings. Pat at Children’s Books Heal: Pat is an active member of the kid lit community…supportive and encouraging…quick to offer a kind word and a helping hand. Her blog focuses on books for special needs’ children and books that address sensitive topics and present them in ways that kids can relate to…she is an amazing resource for parents and teachers. Tara at Writing for Kids While Raising Them: Tara is the founder of Picture Book Idea Month (PiBoIdMo), an amazing picture book writing challenge that takes place every November. You can follow the last week of posts and catch up on the one’s you missed by clicking on her link. This is my second year of doing PiBoIdMo and I’m thrilled with the notebook of story ideas I’ve already filled – if you are looking for inspiration, motivation and information from successful writers and illustrators in this kid lit community, Tara will provide it. Did I forget anyone? You bet I did! There are dozens of you out there who deserve this award – who have faithfully visited my blog and left comments – who provide support and encouragement for other bloggers and writers. As Shaun, the creator of this award said…anyone can grab it and share it with those they’ve connected with. HAPPY THANKSGIVING to ALL! I hope you have a safe and joyous holiday. Let’s celebrate what’s really important in life! 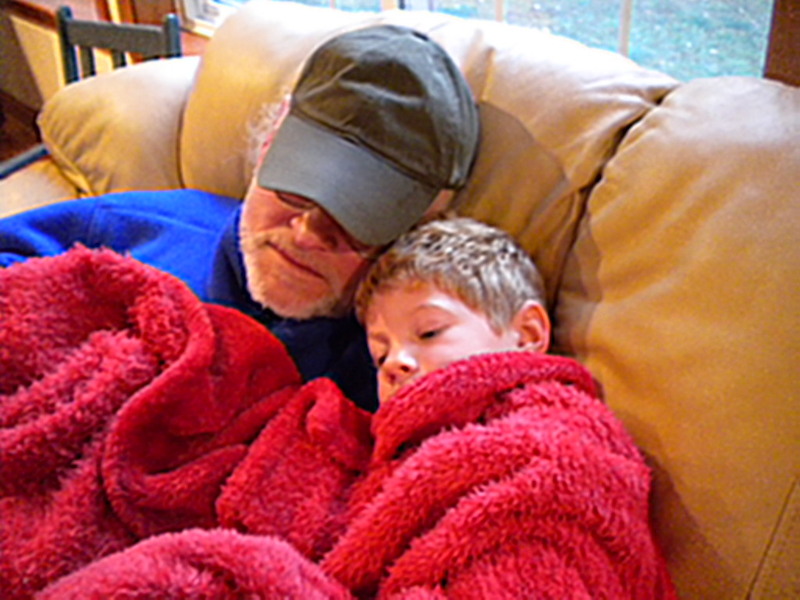 This entry was posted in Monday Writing Magic, Thanksgiving, WordPress Family Blog Award and tagged Thanksgiving, WordPress, WordPress Family Blog Award by viviankirkfield. Bookmark the permalink. Thanks for stopping by and leaving such a sweet comment. Have a beautiful day, Ali! Glad you are pleased to be on the list, Nancy! You are so right about the tapestry of blogging – sometimes, when I scroll down a comment thread on someone’s blog, I’m amazed at how many people are from unrelated fields, but have all come together. I’m so glad I found your blog to follow. You are so positive and uplifting! Yay for the WordPress family! Thanks for being such a Joyful spot in my day!! Lovely post, Vivian! Congratulations on your award — and what stellar and worthy people you have passed it on to. This widespread community we belong to is a wonderful place. Have a joy-filled Thanksgiving — I’m quite sure you will, as that last photo attests. Wow, Vivian! I’m honored to be included on your list! Thanks so much. It’s been wonderful to be in your critique group this past year. I hope you and your family have a lovely Thanksgiving! Your critiques have really helped me make my stories stronger…I only hope I’ve been helpful to you. :) I’m looking forward to 2014. Will you celebrate Thanksgiving in S.Korea? What are some favorite dishes there? Yes, Vivian, just our immediate family will celebrate. I bought a small turkey breast. (Hubby doesn’t like turkey.) My favorite Korean dish is called L.A. Kalbi which are marinated beef ribs grilled. I also like bulgogi that I posted a blog post about and japche, the noodle/veggie dish that was pictured on my last manuscript you critiqued. Have a great time making memories w/your family! Congratulations on your well-deserved award, Vivian! It really is a wonderful community we are all part of. Have a happy Thanksgiving! Thank you so much for including me in your wonderful list, Vivian, and congratulations– your blog is so wonderful and really pays tribute to so many wonderful books! Many thanks, blog friend. 🙂 I have no idea how to add this award to my site… another blogger honored me a little while back and I could not figure it out! But, I’m grateful. Thanks Vivian! I could definitely use the help. You are so kind in your generous praise. It means a lot to me. I’m working on a post right now, that I think will resonate with you… about our belly buttons. 😉 So… how do I add that beautiful award? Thank you so much for thinking of me, Vivian! I’m sorry it took me so long to head over here. My sister is visiting for Thanksgiving and the kids are out of school, so I have zero time to do anything for myself. But it’s OK, family time is very fun too. I hope you have a great Thanksgiving with your family in your new home! How wonderful that your sister is visiting for Thanksgiving…that makes the holiday all the more special. :) Thank you for the kind wishes…one of our desserts will be Jeremy’s pumpkin-apple muffins! That pumpkin is coming out to be very handy! Lovely post. Congratulations. You should be able to see my e-mail address. I want to order your book, so would you send me an e-mail so I know where to reach you. Oh, that is lovely, Pat! I will email you right away. And you, too, Pat, are another faithful commenter and supportive friend and blogger. Your name should have definitely been on that list, if only for your exemplary blog which always highlights books that address sensitive topics and is so child-centered…please forgive me…I am adding it immediately! Thanks for your kind words, But, please don’t worry. I prrefer to remain award-free on my blog. I want to keep it a service. I had so many at one time it was too much. I have something in my sidebar. Thank you for the thought! Congratulations! This is a great bunch of people including you Ms. Kirkfield! Congratulations on the “I’m part of the WordPress family” award. Without “my” family, I’d have a hard time staying motivated. Everyone that you’ve mentioned above has helped me in ways they don’t even realize. Some posts make me laugh and cry, others provide valuable information. And I’m touched and honored to be included.